First, let me open and say that marketing is an imperfect science - imperfect in that marketing never gets it right. New ingredients are added to the marketing mix all the time - the objective of marketing is to educate the buyer so to make the sale simpler - but it's a moving target - it's in the salesman's skill set to adjust the aim. Without the salesperson, who would tell the prospect how their product fits the prospect's need (I think I took this, at least in context from something Steve Jobs once said). It's the salesperson that educates / translates / explains to the prospect that their product is exactly what they are looking for. In the printing business we see it almost every day; I will introduce myself as part of a local printing company and that we can print "anything"; the person I just introduced myself to will then ask someone else "do you know anyone who does brochures" ???? 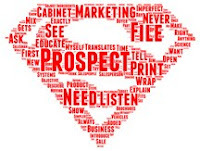 The prospect did not need "anything" printed, they needed brochures ???? See the problem? When I was in the systems business (systems integrator) I would never try to explain what we did as it was to complex. I would ask the prospects why they were attending this conference / trade show. (if they were) The prospects would describe in detail what he needed - abracadabra - my response- "That is exactly what we do..!!! What the prospect needed - from the prospects eyes. I guess we could call this a lesson in listening - Don't bore the prospect with what you do; repeat back to them what they want - You must listen first and then tell the story. So what brings this whole thing up? 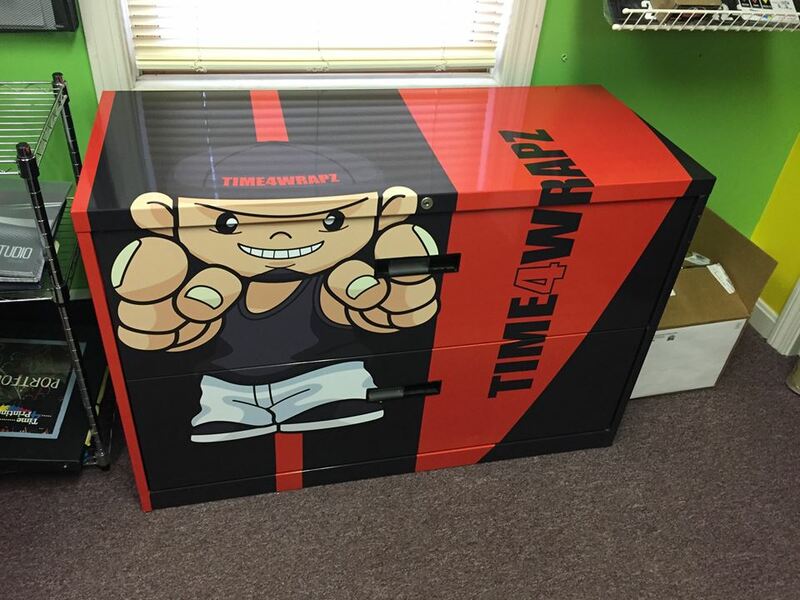 I was talking to a prospect who was describing how he wanted his file cabinets custom painted to reflect what their business did (I'm listening). I suggested he wrap them (kinda like we do vehicles - you see the similarity, vehicles and file cabinets :/ ). Better, more damage/scratch resistant, easy to clean and much less expensive. Best of all, I had one in the office to show him. Who da thunk... He would have never knocked on my door for this.